Santo Domingo.- Economists and union leaders agree that Dominican Republic’s current pension formula needs changes to reduce the distortions they say hobble the system. “The time has come to understand that the system should be subject to reform,” said CNUS Union leader Pepe Abreu. He said the contributors need assurance that they’ll have their pension in the last stage of their lives. He said the unions last May submitted a bill to reform the Pension Law that involves a pay-as-you-go system that guarantees an 80% rate of return (the Dominican average is around 22%) and an individual contribution formula, but which allows that if a worker wants to contribute more to their pension fund, they can do so. But Pensions superintendent, Ramón E. Contreras noted that the incorporation into the Dominican labor market occurs from the age of 16, so that an average worker would have around 44 years to contribute to the system, although it will depend on situations that may occur during their working life. “The longer the contribution period, the higher the accumulated balance and therefore the higher the pension,” he said, quoted by Diario Libre. He said that anyone affiliated with the pension system that has contributed 360 quotas and reached the age of 60 required by law, is guaranteed at least the minimum pension for life with its accumulated funds and the complement from the social solidarity fund, in if they requires it. “Old-age pensions will be paid from the balance that has accumulated in these accounts during the period of activity of the workers, so that in no way the payment of the benefits implies a fiscal sacrifice for the State,” the official said. “Old-age pensions will be paid from the balance that has accumulated in these accounts during the period of activity of incumbent workers, so in no way the payment of benefits implies a fiscal sacrifice for the State,” he said. 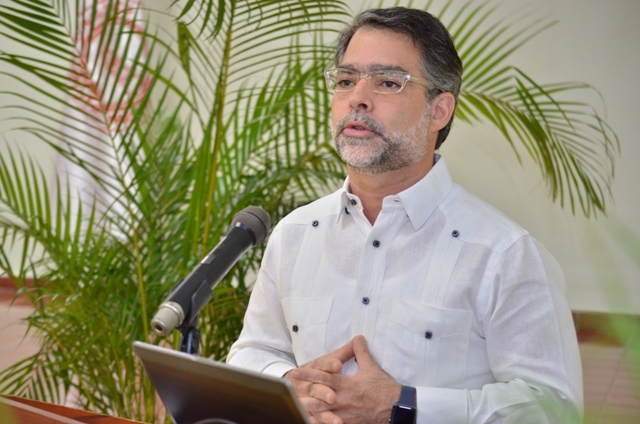 Ernesto Selman, economist at the think tank CREES, agrees that the risk of a fiscal crisis would only occur if the Dominican government assumed part of the cost of pensions, even if the workers are registered with the Pension Fund Administrators ( AFP).